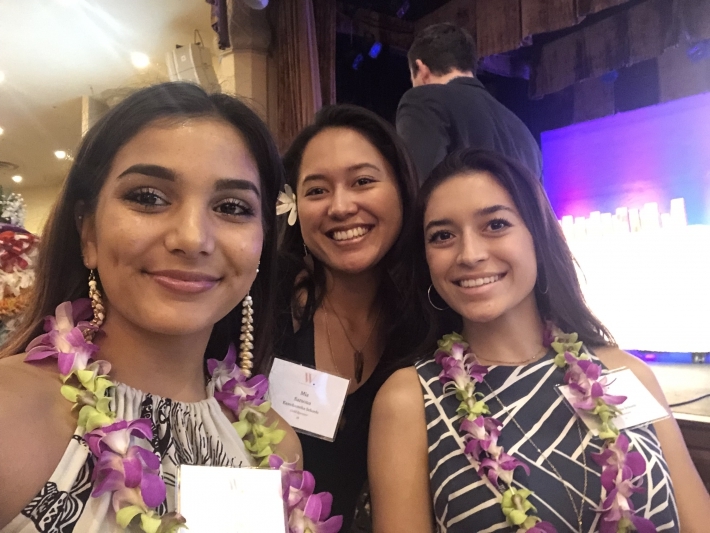 KS Kapālama senior Trinity Asing, Samuel Kamakau Public Charter School senior Mia Sarsona and KSK junior Tai Gibson were the honored guests of KS at the Pacific Business News Women Who Mean Business Awards Dinner. Asing spoke on behalf of KS to open the event. 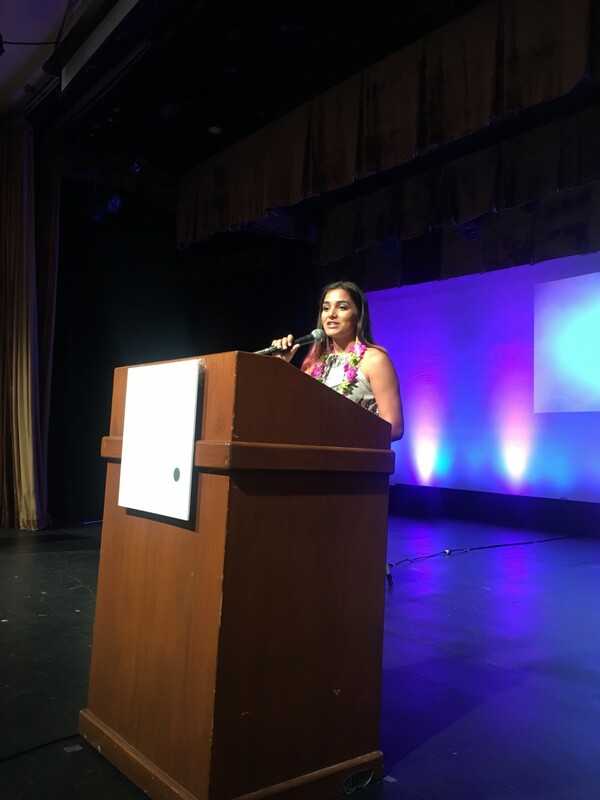 KSK senior Trinity Asing addresses 400 attendees at the Pacific Business News Women Who Mean Business Awards Dinner. Three haumāna from Kamehameha Schools Kapālama and Samuel M. Kamakau Public Charter School were inspired by some of the state’s top women business leaders at the 21st annual Pacific Business News Women Who Mean Business celebration at The Royal Hawaiian Hotel. They were honored guests of KS, a gold sponsor of the event. KSK senior Trinity Asing, KSK junior Tai Gibson and Samuel Kamakau senior Mia Sarsona were among the event’s 400 attendees. Asing spoke on behalf of KS to open the evening and Gibson assisted with presenting the awards alongside Beth Whitehead, executive vice president and chief administrative officer of American Savings Bank. Meeting mana wāhine and hearing their stories, inspired these young women to set their sights high in whatever fields they decide to pursue.